New costs, restrictions and bureaucratic requirements are all risks following the UK’s vote to leave the European Union, according to the Freight Transport Association (FTA). 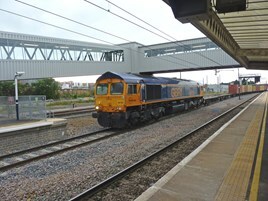 The group, which represents the freight and logistics industry, warns that “additional burdens” could add costs to the freight sector and disrupt the UK’s supply chains. It has called on the Government to prioritise arrangements for international freight transport in its negotiations to leave the EU, to ensure minimal additional legislation and to keep costs down. “Even though we are coming out of Europe politically, it remains our biggest export market and the supplier of a high proportion of our imports,” said FTA Chief Executive David Wells. Wells said that it is important during the negotiations that conditions imposed on other non-EU member states such as Albania and Serbia are not imposed on the UK freight flows. And what are the conditions imposed on Albania and Serbia. Just had a horrid thought, Angela Merkel singing "do you wanna be in my gang" oh yeah.